I Run. You Run. We Run Social. You might’ve seen a social media explosion over the weekend about the new running group/organization/club, heck, party is really the best word to describe it–that is We Run Social. This past February in preparation for Phoenix Marathon, a ton of Instagrammers, bloggers, social media-ites, got together and formed a Facebook group where we basically talked about our excitement on meeting up and tackling Phoenix. A lot of us had never met before but “knew” each other through various social mediums. We stared using the hashtag #ItsGoingDownAtPhoenix and thus began a huuuge buildup to what would become an epic race (epic for me in a different way lol!). But it certainly went down in Phoenix as everything about the race–the expo, the race itself, and post race festivities lived up to the hype we’d created. Afterward, we were sad. It’s kinda like that post-prom, post-graduation “What do we do now?” Was the party over? And that’s how #WeRunSocial started. Now, everyone was invited–it doesn’t matter where, when, what race, who, why–as long as you are running, a good time, you’re in and we’re in! It was so much fun meeting up with people who share the same interests as you, who “get you”–why not let that happen ALL. THE. TIME. At every race. 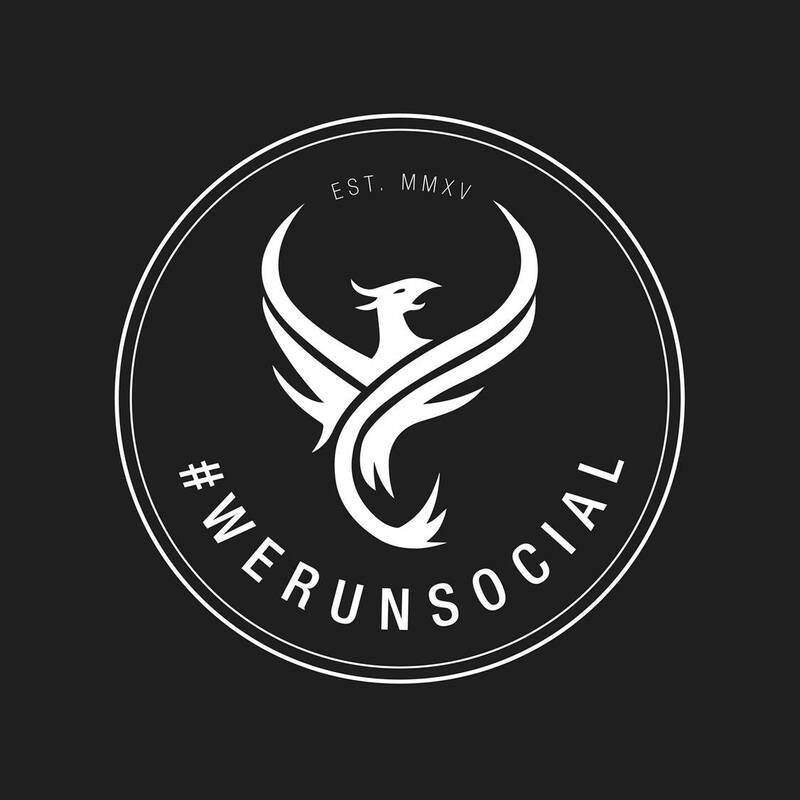 There’s a Facebook, Instagram, and Twitter page for We Run Social where runners can connect and follow each other. It’s cool to chat with people running the same races as you and then talking about training, race day, and post race stuff. I mean, it’s cool just talking about running. And then if you can meet in person, even better. I’ve had so much fun getting to know people on social media. They may still be strangers in that I’ve never met them in “real life,” but we’ve formed a bond over something we love: running. In the short span I’ve been fundraising for Chicago Marathon and the Ronal McDonald House Charity, I’ve been blown away by the support of the running community. Sara @LifeBetweenTheMiles, Charissa @charissarunning, Colby @ItsAMarathonAndASprint, Jennifer @WeAreRunningAMarathon?, Hailey @StridingStrong, and Amber @PbandPrs have all contributed to my cause and have I met any of them in person? Nope. But they’re awesome, and love running, and are supportive of those who run. And for that and much more, I’m thankful. What a great idea! Heading over to check it out now! 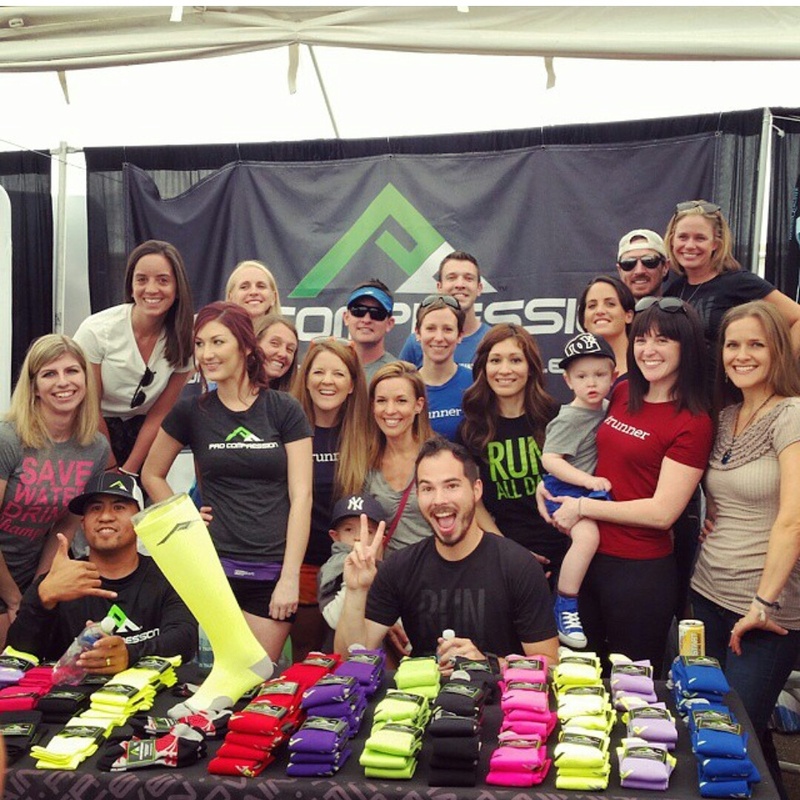 I love the running community! I was so jealous of all the posts I saw for Phoenix, it looked like such a good time. Thank YOU and you’re so right. Already it’s been hella awesome raising money–I can’t wait to run!! Very cool! What a great idea! And thanks for reminding me that I need to donate!